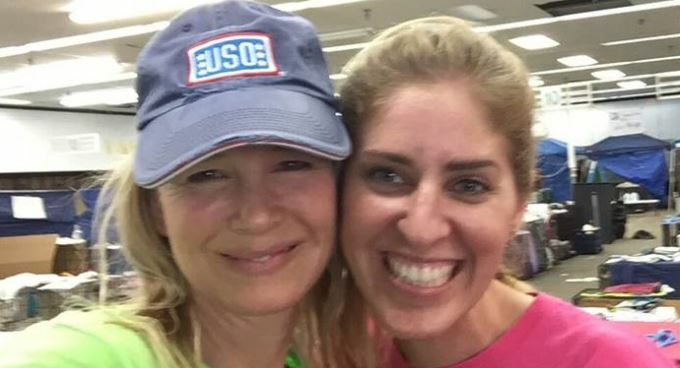 Renee Zellweger Surprises Animal Rescue Group by Volunteering to Help Harvey Pets - Houston Pets Alive! As volunteers rushed to care for abandoned pets in the wake of Hurricane Harvey, one Oscar winner quietly stepped up to help. Founder of animal rescue organization Houston Pets Alive!, Andrea Birkelbach, has been busy caring for animals, organizing volunteers and comforting owners faced with relinquishing their pets because they lost their homes. Then one busy morning after the hurricane struck, someone tapped Birkelbach on the shoulder to tell her something she never imagined she’d hear. Sure enough, the actress and native Texan was quietly pitching in. It turned out Zellweger had also volunteered for several days with the group’s sister organization Austin Pets Alive!. After over a week of volunteering, the 48-year-old actress flew home to Los Angeles with eight dogs she pledged to place in new homes. Naturally, Birkelbach is grateful to Zellweger for her help — and for the efforts of all of her “wonderful” volunteers. 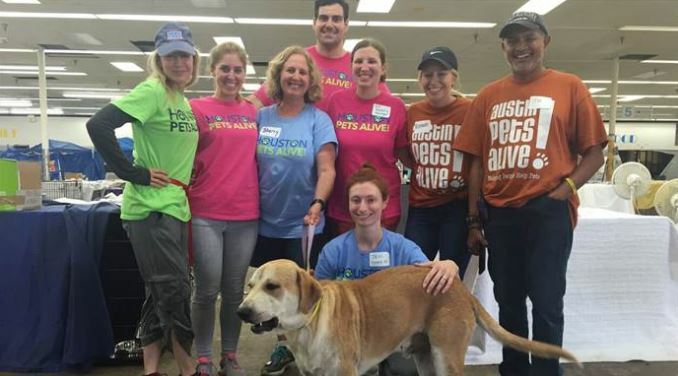 Thanks to their collaboration with Austin Pets Alive! and Best Friends Animal Society, the group saved more than 2,500 animals in just two weeks. “We got them out on transport to other no-kill rescue groups throughout the country,” she said, adding that several have already been placed with new owners. Launched in 2015, Houston Pets Alive! normally operates as a network of volunteers who foster dogs and cats pulled from the city’s overcrowded shelters when they’re scheduled for euthanasia. No one — not even Birkelbach — draws a salary. After Harvey devastated the region, word of the Houston Pets Alive! temporary shelters in the city’s hardest-hit area spread quickly thanks to an Instagram post by Houston Astros pitcher Lance McCullers Jr., the nonprofit’s spokesperson, who’s also been volunteering during the crisis. But the work is far from over. It takes more than 100 volunteers a day to keep the temporary shelters afloat — and they need to find a new home. Birkelbach hopes to raise $4.5 million in the next few weeks to create a permanent shelter with in-house spay/neuter services to help make Houston a “no-kill” city. “The shelters are at capacity — we have to keep pulling pets. Every day we get a handful of ‘bottle babies,’ little newborns who otherwise would be euthanized right away because they were found without a mom,” she said.